You’ve probably heard the term “Terminal Ballistics”. But do you really know what this refers to? Fundamentally, “Terminal Ballistics” describes the behavior of a projectile as it strikes, enters, and penetrates a target. Terminal Ballistics, then, can be said to describe projectile behavior in a target including the transfer of kinetic energy. Contrast this with “External Ballistics” which, generally speaking, describes and predicts how projectiles travel in flight. One way to look at this is that External Ballistics covers bullet behavior before impact, while terminal ballistics covers bullet behavior after impact. The study of Terminal Ballistics is important for hunters, because it can predict how pellets, bullets, and slugs can perform on game. 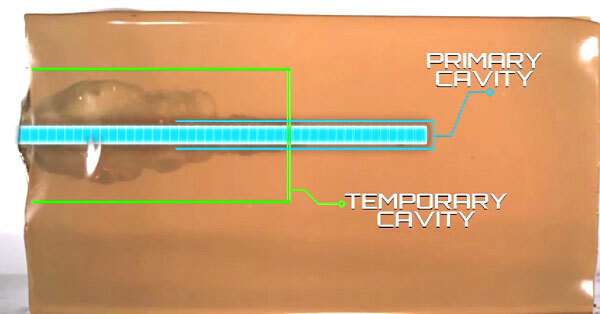 This NRA Firearm Science video illustrates Terminal Ballistics basics, defining key terms such as Impact Crater, Temporary Cavity, and Primary Cavity. External Ballistics, also called “exterior ballistics”, is the part of ballistics that deals with the behavior of a non-powered projectile in flight. Terminal Ballistics, a sub-field of ballistics, is the study of the behavior and effects of a projectile when it hits its target. Share the post "Terminal Ballistics — Video Explains Basic Principles"
With the high price of reloading components, and the limited availability of .22 LR rimfire ammo, perhaps it’s time to consider an air rifle. Modern air rifles can be very accurate, and, the last time we checked, air was still free (the government hasn’t figured out how to tax air yet). In the world of air rifles, you’ll find a huge range of products, from low-cost plinkers to $5000.00+ Olympic-class position rifles. If you’re looking for a high-quality air rifle in the $1200.00 range, consider the Air Arms S510 Xtra FAC. 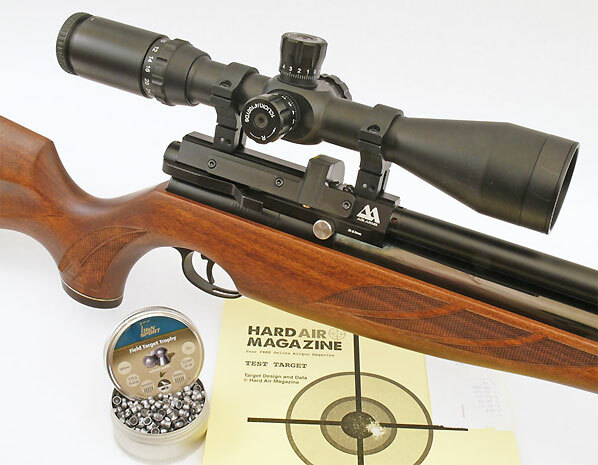 This versatile rifle received exceptionally high marks from Hard Air Magazine (HAM), a specialty website for air gunners. 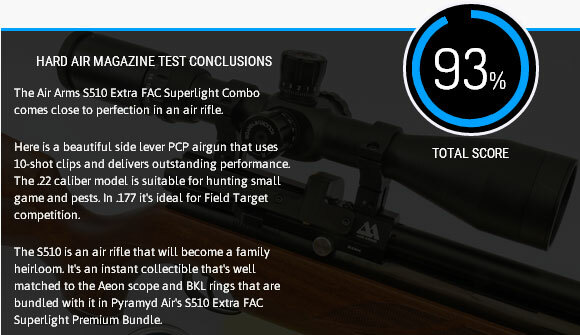 HAM’s editors gave the Air Arms S510 a 93% total score, the highest score of any air rifle the magazine has tested to date. Accuracy was outstanding with the heavier pellets in the standard HAM test range. HAM tested a .22 caliber version, but Air Arms also offers the S510 in .177 or .25 caliber. The .177 version is suitable for Field Target Competition. CLICK HERE to Read Full Air Arms S510 Review. (Very Comprehensive). Share the post "A Top Choice in Air Rifles Tested"